The US military said Thursday it carried out a strike targeting a senior militant leader in Afghanistan’s eastern Kunar province, where Tehreek-e-Taliban Pakistan (TTP) chief Maulana Fazlullah is believed to be hiding. “US forces conducted a counter-terrorism strike, June 13, in Kunar province, close to the border between Afghanistan and Pakistan, which targeted a senior leader of a designated terrorist organization,” Lieutenant Colonel Martin O’Donnell said in a statement. The statement did not name Fazlullah, but added that US forces were continuing to “adhere to a ceasefire” which Kabul has entered into with the Afghan Taliban, the country’s main insurgents, seemingly ruling out any targets from that group. Afghanistan’s defence ministry spokesperson said that Fazlullah was among the dead. “I can confirm that the TTP leader Fazlullah was killed in a joint Afghan and US operation in Kunar on Thursday,” Mohammad Radmanesh said, using the group’s Urdu name, Tehreek-e-Taliban Pakistan (TTP). There was no official confirmation from Pakistan, but a Pakistani senior security source told AFP that Fazlullah is believed to have been killed. Without access to the area such incidents are difficult to verify, and top militant leaders have been reported dead before only to resurface. It said the group has “demonstrated a close alliance with Al-Qaeda” and had given explosives training to Faisal Shahzad, the would-be Times Square bomber. The group was behind the massacre of more than 150 people at a Peshawar school in December 2014, and nine dead in another attack in December 2017 in the same city. It was also responsible for the October 2012 shooting of Malala Yousafzai, who became a global symbol of the fight for girls’ rights to schooling. 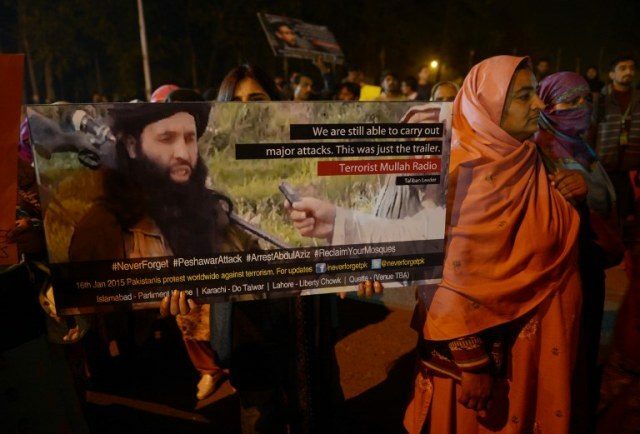 According to Pakistani officials, Fazlullah, who is believed to be in his forties, took refuge in Afghanistan after the TTP was pushed out of Pakistan following multiple offensives by the military on its safe havens.